GLENDALE, ARIZONA --- Phoenix Coyotes General Manager Don Maloney announced today that the Coyotes have signed unrestricted free agent forward Raffi Torres to a multi-year contract. As per club policy, terms of the deal were not disclosed. 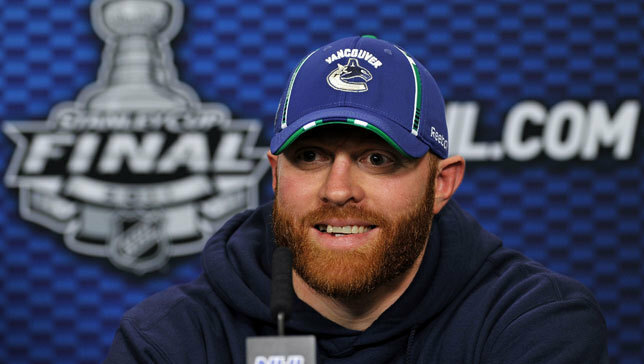 Raffi Torres. Photo by Getty Images. The 6-foot, 216 pound Torres has appeared in 512 NHL regular season games, recording 112-99-221 and 390 penalty minutes (PIM) in six NHL seasons with the Vancouver Canucks, Buffalo Sabres, Columbus Blue Jackets and Edmonton Oilers. • Click here to listen to an interview with Torres. Last season, Torres appeared in 80 games with the Vancouver Canucks recording 14-15-29 and 78 PIM. Torres helped the Canucks reach the Stanley Cup Finals, appearing in 23 playoff games and registering 3-4-7 and 28 PIM. The 29-year-old native of Toronto, Ontario has played in 53 career Stanley Cup Playoff games, including two Final appearances with Vancouver in 2010-11 and Edmonton in 2005-06, recording 7-15-22 and 58 PIM. Torres was originally drafted by the New York Islanders in the first round (fifth overall) in the 2000 Entry Draft.